Dr. Anthony Lemmo is a chiropractor in Windsor, Ont. who is using an alternative treatment to brain trauma, that's also been an effective therapy to his ADHD and stroke patients. Windsor, Ont. chiropractor Anthony Lemmo had been working with the Windsor Spitfires for about 10 years, when he decided he wanted to be able to treat hockey players' concussions better. "While I was there, there were several concussions and head traumas — I just wanted to know if there was something else out there to help some of the players because there was only so much out there at the time." 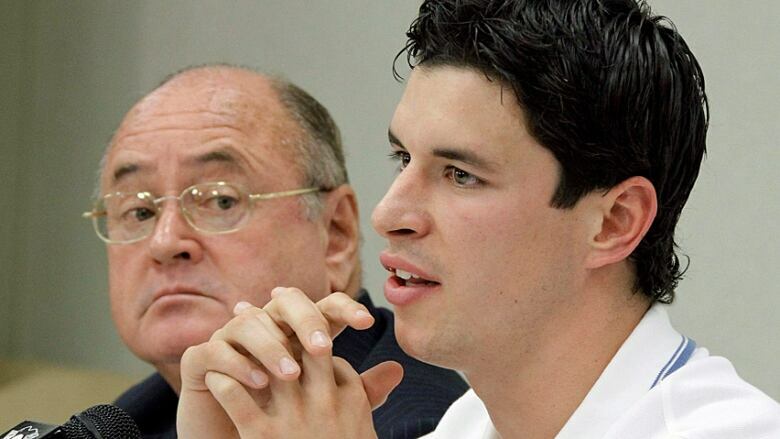 Dr. Lemmo had heard that Pittsburg Penguins captain Sidney Crosby had seen Canadian Ted Carrick, a chiropractic neurology specialist who treated Crosby in 2012 for his concussions. Lemmo was immediately drawn to the new method for treating brain trauma, and became a certified functional neurologist through the Carrick Institute for Graduate Studies and the American College of Functional Neurology. But Lemmo soon found out he could treat much more than just trauma — seeing stroke, dementia, and even ADHD patients. "Once I was in the program I realized concussion is a very minute piece of the big puzzle, which is brain rehabilitation," he said. At his clinic, Lemmo figures out what it is his patients want to achieve and uses diagnostic tests to track eye movement to determine the parts of the brain that need work. "Depending on the speed, the trajectories, the starts the stops, vertical horizontal, rotation — all these eye movements are well-studied and mapped in the brain," he said. "We look for a weakness or a super strength or a hyper activity in those areas [of the brain]." Patients wear a heavy goggle-like device on their heads and sit in a small room, while technician Diva Santoilli walks them through the steps. They track a red dot — which looks like a laser point on the wall — while she watches their eyes. Through further consultation, Lemmo works to figure out what pathways in the brain he can stimulate to get his patients results. "At first I was definitely a little bit sceptical, I wasn't sure," said Heather Fry, whose son Jordon saw Lemmo two years ago. Jordan was diagnosed with attention deficit hyperactivity disorder (ADHD) and his doctor had recommended he go on medication, which Heather did not want. "He was hard to control... We never got invited to birthday parties," said Heather. "It was hurtful because I wanted him to be part of that and I knew that he could be." Jordan saw Lemmo for a few weeks over the summer school break, and did a lot of prescribed work at home. His family saw dramatic results right away, but Heather was still unsure. She didn't tell his teacher about the treatment Jordan was doing, and wanted to see if she noticed the change in her student. "She called me and said 'I'm not understanding, he has ADHD? There's no way your child has ADHD.' Literally the words that came out of her mouth," said Heather. "I just breathed. My point of view as a mom, it was seriously like a miracle." Two years later, Jordan is playing sports and music and also has a tonne of friends. "My one friend he comes over almost every weekend," the 11-year-old was happy to report, patiently sitting by his mother's side for an interview. "I started spreading the word because it's just something every parent should know," said Heather. What drew Heather to the treatment was the fact that Jordan would not be taking any medications. "There's not a pill for neuroplasticity, it's very specific," said Lemmo. Since he is treating specific areas of the brain, medicine doesn't work, he said. Instead what his patients do is very different— on a tablet device, Lemmo's patients do tests, which look very much like games, that he programs specifically for how he wants to stimulate the brain. "A lot of the therapies we prescribe they have to go home and do these," said Lemmo, explaining that they can be tedious and repetitive. Then, his patients come back for more diagnostics. "If we don't see a change then I know that pathway might not work, so we'll try something else." The therapy that Lemmo is providing has been criticized, but mostly because there is not a lot of research evidence that shows that it works. "There's not really a body of research for that, It's a bit of the wild west," said Dr. Anne Mclachlan, a neuropsychologist at Hôtel-Dieu Grace Healthcare. "It's not something discussed at brain injury conferences." For Lemmo, he takes his cues from his patients. "There's only one thing that I care about and that's results and if I'm getting them over and over that's all that I care about," he said. "When you're doing something that's so different you're going to hear skepticism." Another issue for many interested in Lemmo's therapy is the cost. An initial appointment, which includes a full diagnostic assessment and consultation with Lemmo, costs nearly $600. Follow up appointments cost about $200. He hopes in the future his treatments will be covered by the government, as the therapy becomes more mainstream. "It doesn't matter how much money it would cost me I would do this again tomorrow to get these results," said Heather. "I wanted to help him however I could." "I believe this is essential, what we do," said Lemmo. "And our patients would appreciate it too."